Multitasking is a skill that can cause stress over time. It’s draining and it keeps you from focusing your energy on important things. So, stop multitasking and get out and play with these play tips! Playing isn’t just for kids anymore. Emerging research tells us that play can rewire the brain, help reduce the risk of Alzheimer’s and memory loss and even decreases chronic pain. When you play and laugh, it can boost your immune system, lower blood pressure and reduce stress hormones. Play is the fountain of youth. Revive your rhythm. Energetic happy music can increase your heart rate and respiration to result in more energy. Keep your favorite music on your iTouch, iPhone, iPad, play it at work, in your car or with your family. Dance along and get the benefit of a cardiac and brain workout. Reach out and touch someone. When you are stressed email a playful email, a cartoon or joke to a friend. Toy chest. Keep a drawer or box at work and at home with playful toys and when you get stressed shoot a basket, bounce a ball or play jacks. Ecotherapy. Get outside and play. 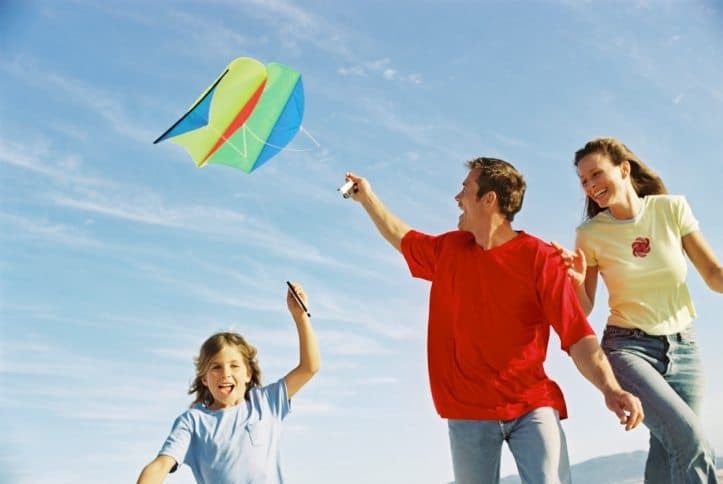 Put up a badminton net or a basketball hoop, go for a family walk after supper, go to the park and fly kites, or put a swing in the backyard.